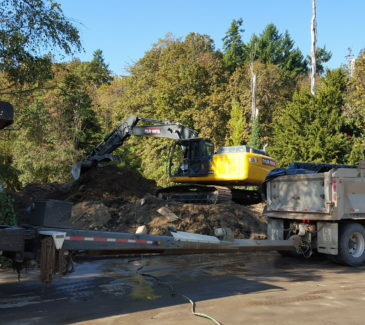 AEC was contracted by Apex on behalf of the Port of Portland and Metro to perform the excavation, transport, and disposal of soil containing metals and organic compounds in support of the environmental work being completed at Willamette Cove in Portland, Oregon. The project commenced with the setup and survey of the work area, PPE decontamination station and staging area. AEC crews installed a storm basin protection liner and silt fencing in order to conform with standard BMPs detailed in the project documents. 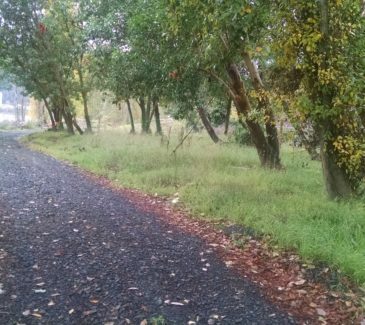 Next a haul road of roughly 1,800 ft x 8 ft was established and realigned to adjust for a 50 foot greenway setback. Imported 1-inch to 2-inch minus gravel was used to establish the road base. Approximately 600 tons of crushed rock was imported for excavation fill, topsoil and trail construction purposes. 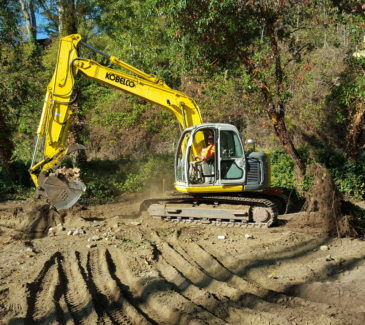 AEC subcontracted an arborist and enabled a Tree Protection Plan to allow for the construction of the haul road and to work within the excavation area while disturbing as few trees as possible, including a method of surgical root removal of the existing dead roots only. 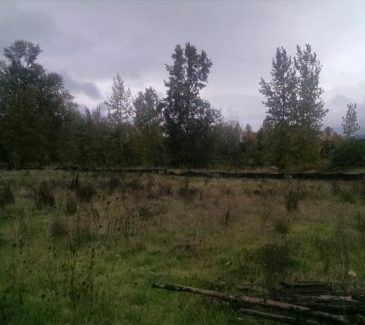 Any trees which required removal from the work site which met size requirements were stacked onsite, and remaining branches remained onsite following demobilization. 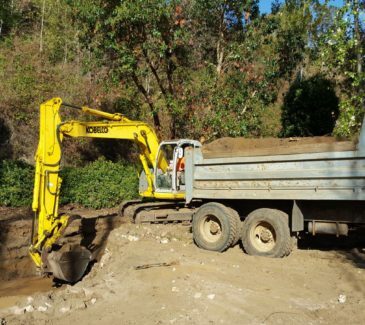 Initial excavation depths were between 1-4 feet subgrade, and crews removed approximately 6000 tons of soils by direct loading into truck and trailers from small 200 class excavators, and hauled directly to Wasco County (Subtitle D) Landfill for disposal. In addition, all contaminated concrete/brick material was removed from site and disposed of at Wasco Landfill. AEC backfilled imported crushed rock as topsoil utilizing a dump truck and low impact excavator. Upon placement, the topsoil and mulch were lightly compacted, hand raked and seeded as specified by the project documents. Following the completion of the remedial excavation, AEC restored the project site by regrading and removing the BMPs as instructed. 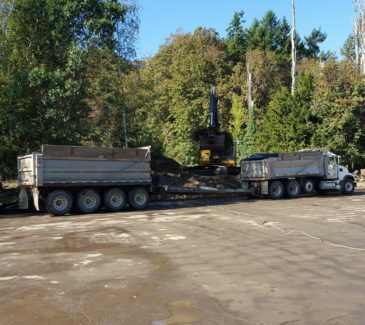 Additionally, we performed decontamination activities including truck and equipment wash for all facilities and equipment that came into contact with the contaminated material.